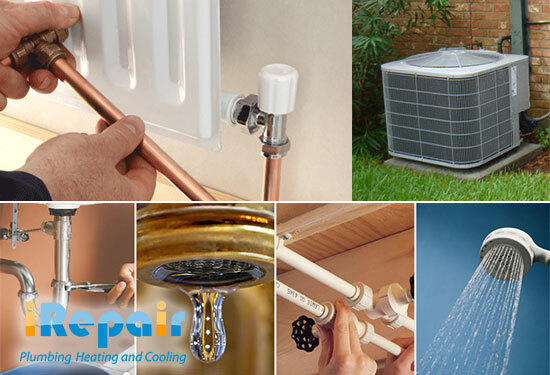 Irepair Plumbing Heating and Cooling have a broad range of solutions to the different needs facing our customers in Butler NJ. The following are some of the services that our customers get from us although they are assured of getting more than what they expect. Any installation, repair and also air conditioner cleaning is made easy with us. Our technicians can handle any AC, and this makes the service more perfect and comfortable. With the problem of the hot water systems, a qualified plumber with excellent skills becomes an urgent requirement. To get this service done in no time, we have technicians who are experts in fixing any problem with the water heater using the best technology for efficiency. iRepair has handled furnace problems with expectantly good quality . Our technicians are ready to replace, install and also repair any problem a furnace or boiler may develop. We also give advice on the right furnace or boiler to use and whether it was installed correctly. We provide the best services in case of a leak or even replacement. Our quality services are given for the best prices hence affordability is a guarantee. Sewer and drain services are also done efficiently with the help of low-cost TV inspection line. All the services offered by iRepair are regardless of whether they are residential or commercial. All our technicians can handle any problem, whether big or small, with an attitude that is fast and also professional. This is why giving quality residential, and commercial services are easy for us. Additionally, we also offer emergency services and all services are affordable.